Low latency for exceptional DDR4 performance – An unbeatable combination of fast speeds and aggressive timings to complement Intel’s 2, 4, 6 or 8 core processors, HyperX Savage DDR4 offers speeds up to 3000MHz and latencies of CL12-CL15. Optimized for Intel’s Z170 and X99 chipsets – Built-in Intel XMP profiles allow users to easily overclock their platforms by simply selecting a profile, with no need for manual timing adjustments in BIOS. 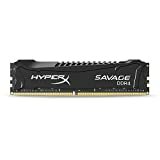 HyperX Savage DDR4 is available in single modules and in kits of 2, 4 and 8, with capacities up to 64GB. Lower power consumption compared to DDR3 – HyperX Savage DDR4’s lower power requirement means less heat and higher reliability. At a low 1.2V or 1.35V, Savage DDR4 takes full advantage of the power efficiency brought by DDR4. Die-cast aluminum heat spreader – The high-quality die-cast aluminum heat spreader features an asymmetrical design and diamond cut finish. 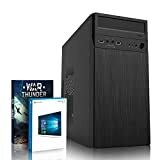 It provides enhanced thermal dissipation for improved reliability, and its low profile fits well under oversized coolers. 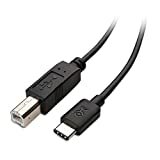 The Cable Matters USB Type-C to Type-B cable is specifically designed to connect existing printer and scanner to new release computers with USB Type-C like the 2015 MacBook and Google Chromebook Pixel.It supports legacy USB 2.0 devices with a Standard-B USB port to a host computer with the small form factor USB Type-C. Hi-Speed USB 2.0 delivers a faster data transfer speed than most Wi-Fi connections and provides better security with compatible equipment. Preserve your investment in current devices equipped with USB-B. This cable provides essential compatibility with next generation computers equipped with a USB Type-C port. The combination of bare copper conductors, foil & braid shielding, and USB connectors with molded strain relief provides a cable with reliable performance and long life. Cable Matters provides a lifetime warranty and product support with this cable for peace of mind when purchasing. This cable is not compatible with the USB Type-C port on the Apple ‘USB-C Digital AV Multiport Adapter’.